no... I agree with you Pierreh, I rather enjoy both of your City Journals, they're always so informative and it would be a shame if either of them ceased to be simply due to a lack of instant response... makestation isn't as active as it could be yet so some delay is expected, hell I really only check it a couple times a day between other stuff going on. thanks for your postings guys ! I just wanted to be sure there was still some interest for it here after such a lull in replies as almost 3 weeks time.. I would do a longer posting but I am having some issues with my home a/c unit today.. I enjoy them both as well! I haven't been as quick on the posting lately. I don't have as much free time as I used to and don't get on as often. Still try to do it at least every other day. Still read even if I don't have anything constructive or inquisitive to say. Your efforts are not unnoticed or unappreciated. brian, are the discs heavily scratched? technically you have the serial number and the discs so you can legally make a backup if you want, even up to downloading it and burning the discs... as long as you still have your physical copy with the serial. Disclaimer: I am not advocating piracy, I'm advocating legal backups which is part of the consumer protection act which was revised to include this as discs tend to get used up over time and you shouldn't lose your game just because of normal wear and tear since you paid for it. I will echo the words that Guardian had to say as well. I personally have been busy out of my mind, so my apologies for being around a little less than usual. I've been living paycheck to paycheck these past couple months and desperately have been trying to keep my financial situation afloat while paying for classes and what not, but I am still around as always, as are the rest of us, and as you know we sure aren't going anywhere for the long haul! We all brought this place back from the dead. We are a part of this community, and it's timeless in so many ways. Our activity will pick back up. Straight from the past and from our history over here, we will be around for the long haul and our activity will most certainly pick back up. So with that said, your efforts truly are appreciated and are not unnoticed in the slightest, and I'm honestly very glad to see that people are still so heavily invested in the game and posting their own creations. For me and for many others, it's more than just a game, but was, or still is, a way of life and a part of our being. It was a huge part of my childhood I will never forget. 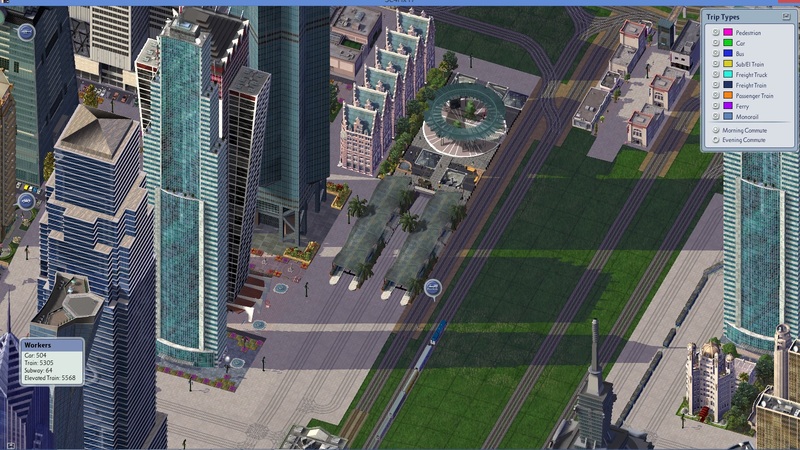 The creativity it takes to create a city and make it yours, or even a region, maintain the mass transit, build elaborate transit systems, CBDs, and phenomenal neighborhoods is one of the most satisfying aspects to me of seeing people's creations in the game. So thank you (and Pierreh as well, welcome again to the community) for posting your CJ's here. It is a hugely satisfying thing to read these as they get posted and updated. Brian, this is a belated reply to your post of August 19th about ESURE / U - Rail series. I'll repeat what I remember having said a long time ago about the ESURE project. The concept was brillant, but it wasn't sufficiently developed, because of Steve's incipient illness. The result is that there are too few pieces, severely limiting the scope of its use. Sofar I was able to implement it only in one single city, in a situation where the layout of the roads and of the subway network allowed placing ESURE pieces in a convenient way. 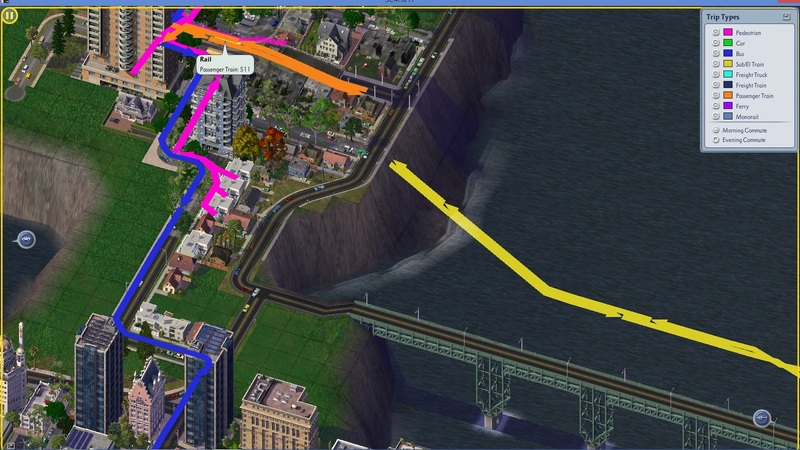 In the example that you showed in your pictures, the visible portion of u-rail entails 3 tiles of unconnected road, something that is a no-no in my cities. I assume that the same occurs on the other side of the highway that is crossed by a portion of subway. This was set up in that way to have an occurence of the use of ESURE, but of course the same purpose (the railway crossing the highway) could have been achieved with 2 ramps and a portion of elevated railway over the highway. I regret that ESURE wasn't developed more fully, because it would have been very handy, in particular, to overcome the limitations of the subway implementation, about which I'll post very shortly in my Talaran CJ. Pierre , thanks so much for your posting ! Yes actually that first posting was a quite poor set up I agree.. The fault was actually more my choices in using the U rail pieces.. ( the esure piece is just 1 piece used for each sid eof the tunnel..) But i have a few more pics to show this also .. So in the above pic , the surc esure piece is actually the second piece from the end of the cliff. and is a straight orthogonal piece.. 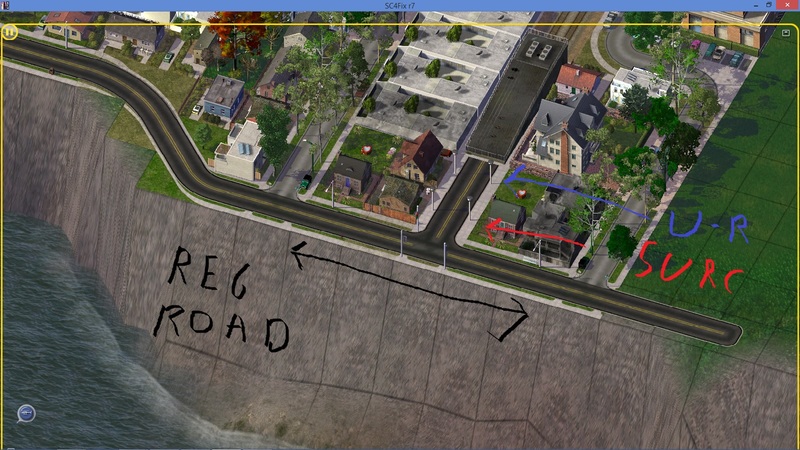 But by using Tibi,s method of having the road dragged prior to plopping down any puzzle pieees and even with the 90 degree turn that connects into the the surc road piece , i was able to connect this up to the road system.. I am hoping this post clarifies a little better what is the work of the U rail pieces and what is the esure pieces role in these set ups,..and how to use them in a set up ? Yes this clarifies very well the use of u-rail and of ESURE components. The implementation shows a clever way of crossing underneath a body of water, because this is not possible with u-rail but it is possible with a subway tunnel, so that turning the u-rail into a subway before plunging under the water is quite creative! I like the use of space. I was not aware that these pieces were available. I was always very annoyed trying to route trains and rails alongside my roads. Tunnels are a pain to get to cooperate quite right. Very nice update, thank you for posting! lol it's funny you use SURC. 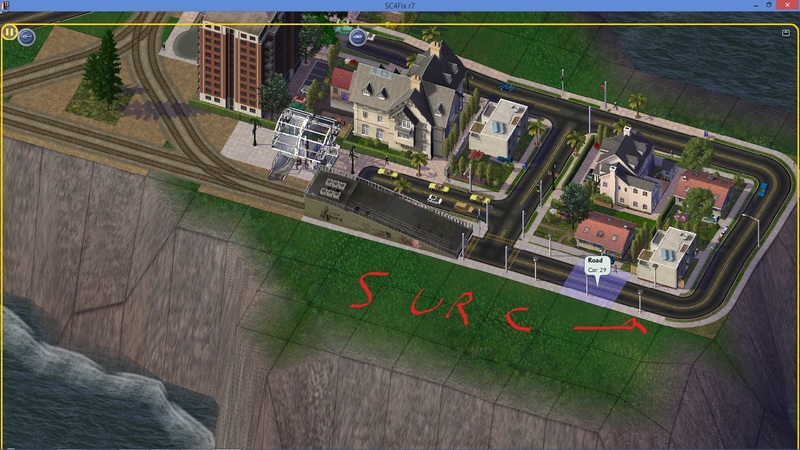 because that's very similar to SURK which stood for Simcity Urban Renewal Kit. Thanks for all your replies guys ! I just wanted to mention that my friend Tibi over on discord is working on one of the best GLR station pack releases in many years ! will be released as 2 separate volumes of stations .. So I have been helping him function test all these stations ( i still have 4 stations to test as yet )..
@ brian51:reminds me of union station in denver. Union station used to be just for trains now it's a bus, GLR, Train hybrid central terminus. really cool having stuff like this in SC4 though.